Have you ever wanted to just close your eyes, click your heels three times, and wake up different? Lately, I've been having a lot of conversations with people about weight loss. So many folks have asked how I did it...is there a magic pill? Secret workout? How can I lose 50 lbs in 6 months? Will I see change immediately? These questions are all valid. And honestly, it made me think back to the beginning of my weight loss journey. How did I do it? Why? What motivated me? I don't think I've ever really shared this story, so I figured now is the right time. Back in January of 2011...I was sinking into a deep depression. I was in a broken marriage. I hated going to work every day. But I was too ashamed of the events taking place in my life at the time to talk to anyone about it because...I'm Pam. Pam. Pam has it all together. Pam is a strong Christian. Pam has a strong marriage. Pam is smart. Pam was living a massive lie. The marriage and the job...well, that's a different story for a different day. But, I felt like my life was going nowhere...I was trapped in it. I saw no way out. So, I turned to food. It became my comfort. And on top of the food, laziness became my friend. Food and laziness, a terrible duo indeed. I was not oblivious to what I was doing. I noticed what was happening to my body. I hated taking pictures. I hated going out with my friends. I hated the way I felt all the time - bloated, constipated...heavy. And I thought...why? Why are you harming yourself in this way? You've got to do better...you owe it to that girl in the picture to try. And so I did. As I mentioned in a previous post, when you start a weight loss journey, it generally is a shock to your senses. All of a sudden, you're telling your body, "NO! You can't have 3 cupcakes before bed..." And working out? Man...getting out of bed was a workout. And yet, I feel that in hindsight, I did all of this for the wrong reasons. I remember starting a weight loss diary where I would record what I ate, how much I exercised, and I'd calculate how many calories I burned that day. But in the front of that journal, I had pictures of the "ideal body" that I wanted. I had pictures of Beyonce and Kim Kardashian...Scarlett Johansson and Jennifer Lopez. And next to them, I had pictures of me...and I realize that those women made me hate myself. Those women were the "standard" and I...well, I was unworthy of being on the same page as them. So, I started my journey doing the right things (the working out, eating right, etc.) but with the wrong mindset. I somehow thought that if I could become Beyonce, I would love myself. My marriage would be fixed. I'd feel better about going to work. I'd no longer crave cupcakes. Life would be grand. So, what am I saying? Do I just want to depress you and make you feel like you can't do this? Quite the contrary. I want to speak to your heart. If you are starting on a journey to a healthier life, you need to know that it takes time. True change and true growth takes time. It does not happen over night. More than likely, your motivation to lose weight will change over time. You'll start out with good intentions, but once you hit a plateau, you'll need another reason to fight. That's when a heart check comes in. By 2013, I had lost about 45-50 lbs. And I felt great. I'm proud of that weight loss. But during that time, my motivation changed. I no longer wanted to be Kim Kardashian. I realized that was unrealistic for me. I wanted to feel better. I didn't want to be consistently constipated, which meant I needed to put down the cokes and hot cheetos. And honestly, it wasn't until 2014 that I actually put down the cokes (I still miss it sometimes). I no longer wanted to become someone else or be the "ideal" body type. I wanted to love me. I wanted to embrace my imperfections. I learned to love my stretch marks, because they show how hard I've worked over the last few years to lose 71 lbs. I started to accept my arm jiggle, because, hey, it jiggles much less than it used to. 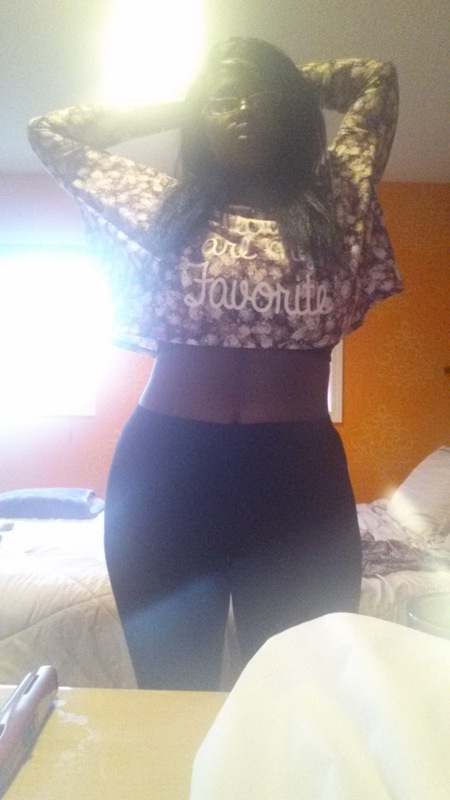 And more importantly, I began to love the shape of my body, with all of it's curves and edges. The truth is, you only get one shot. One body. One temple. One outer shell to cherish and take care of. Just one. What are you willing to do for it? How long will you put in the work? I'll leave you with this. I had a moment yesterday as I was getting dressed. I caught a glimpse of myself in the mirror...and I felt such an intense amount of gratitude, unlike anything I've felt towards my body before. I did a double take at myself. I had to take a picture! And I thought...this is me. No filter. I get to have this body. And I look at the picture of me from 2011 and I get teary-eyed...because I did this for her. That girl needed to know that there was more to life than food and depression. 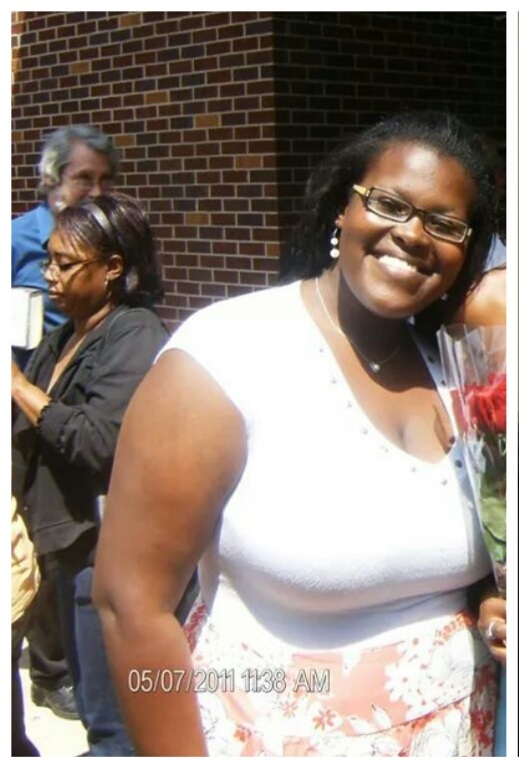 Here I am now, 70 lbs down...and I am overwhelmed and my mind is blown because just 3 years ago, I never thought that the girl in the photo from yesterday could be who I am today. What will you do to cherish your body?